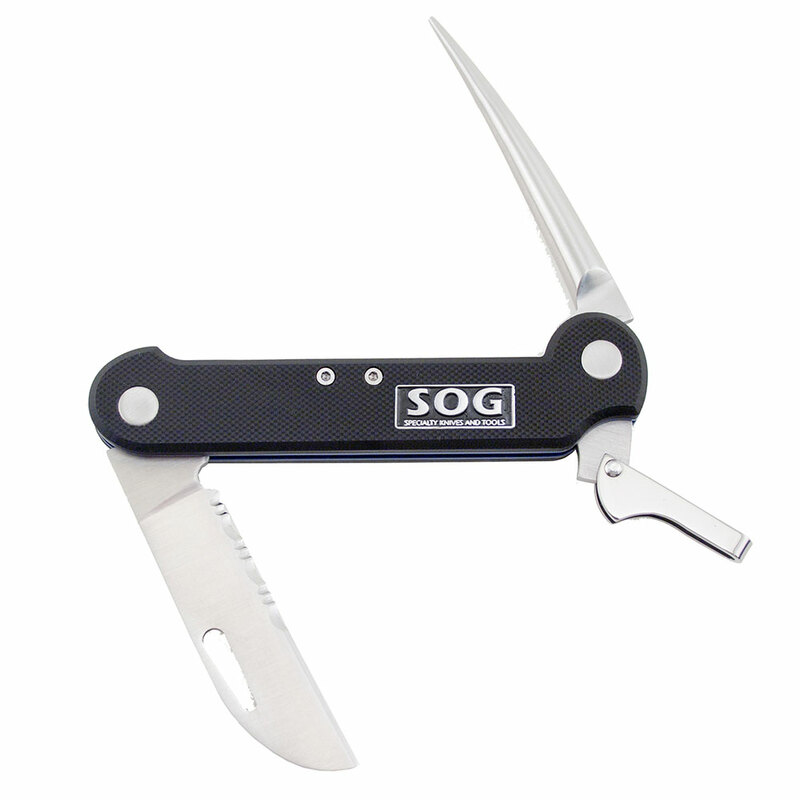 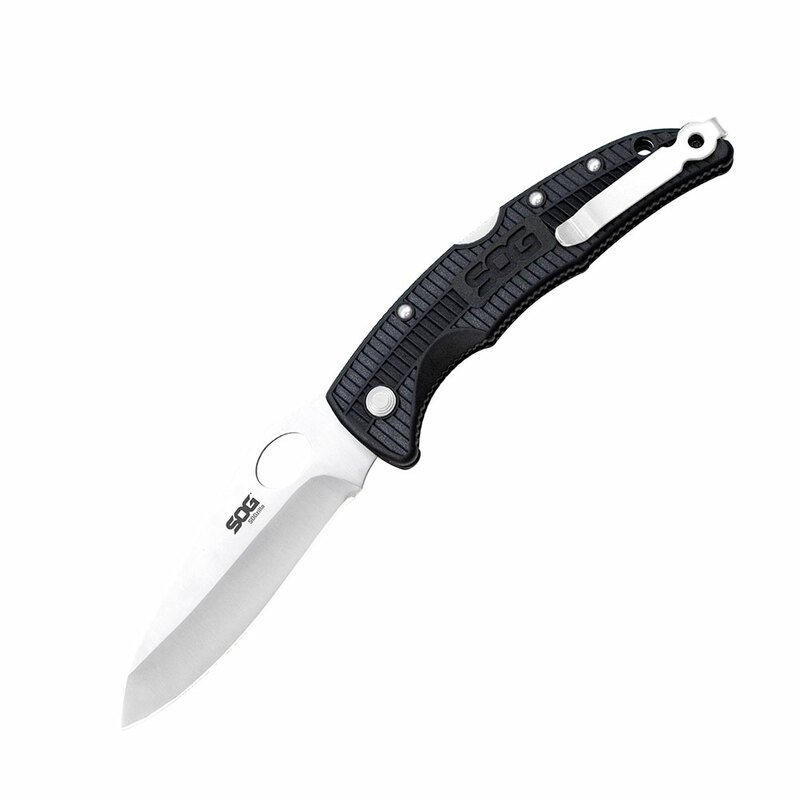 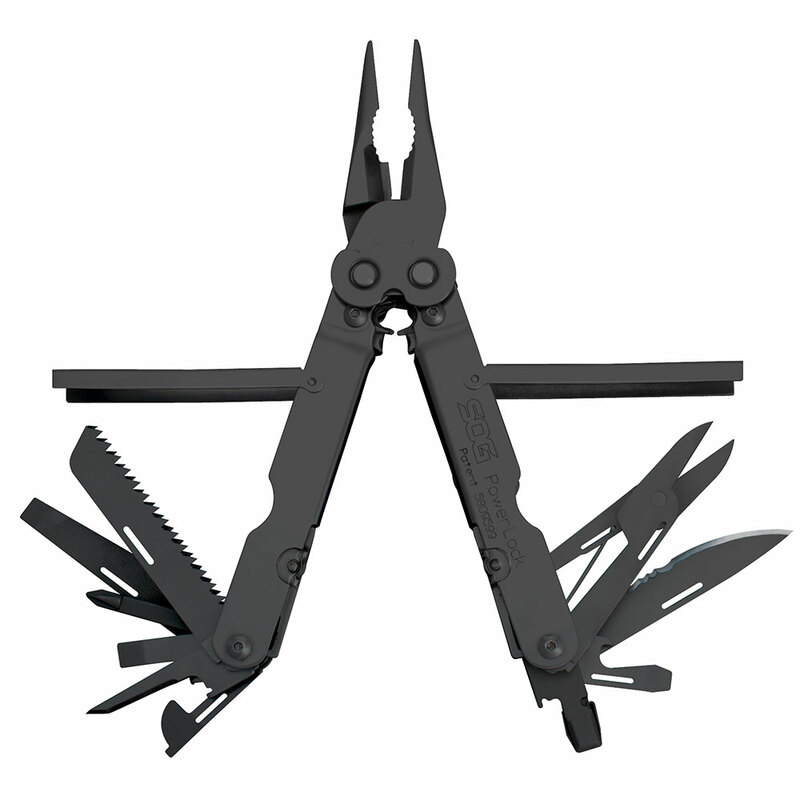 SOG’s Deluxe Pocket PowerPlier is packed with essential tools that include pliers/grippers, wire cutters, partially serrated blade, small/large screwdrivers, Phillips screwdriver, 1/4-inch socket drive, medium screwdriver, three-sided file, can opener, bottle opener, awl, rulers, lanyard and heavy duty Nylon pouch. 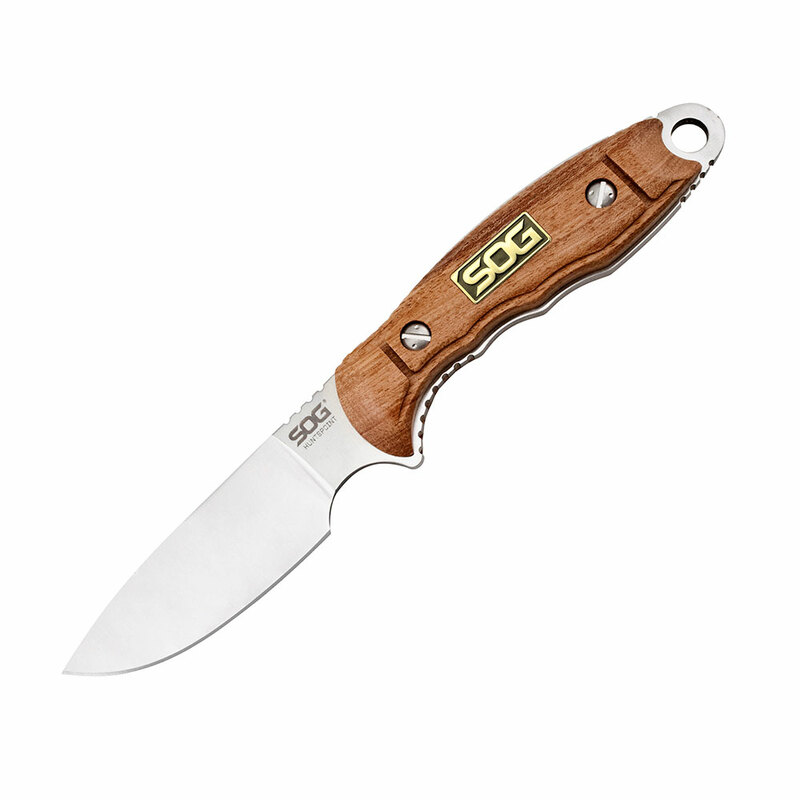 Exclusive interlocking gears are the driving force behind SOG’s renowned PowerPlier Series. 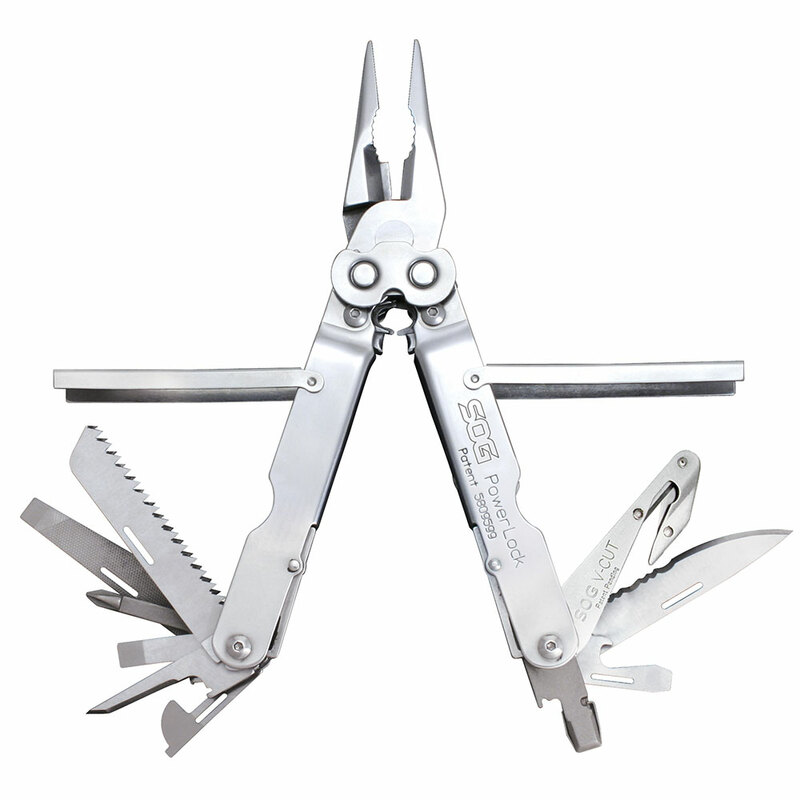 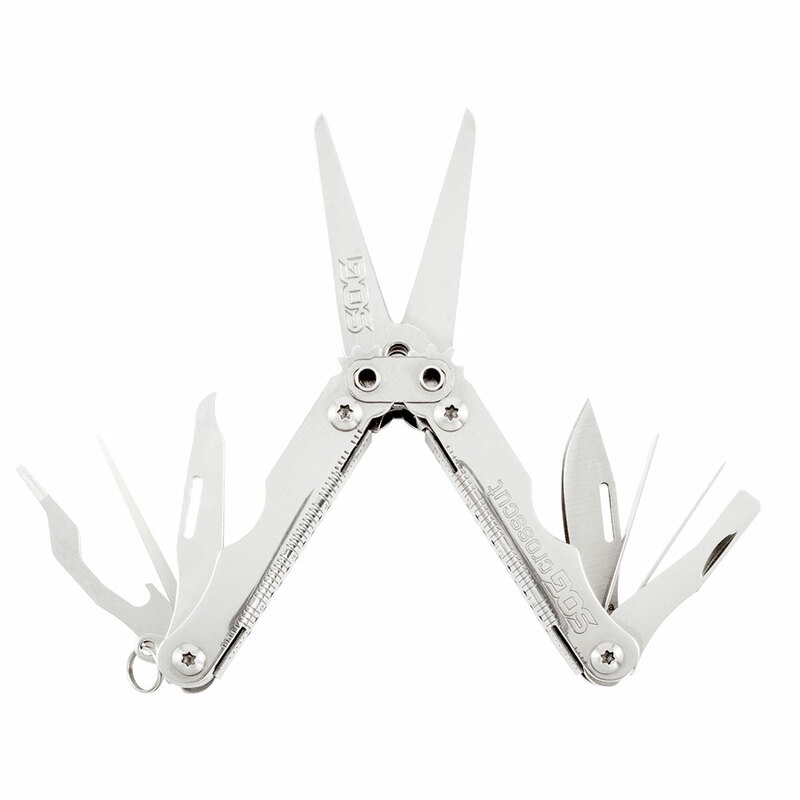 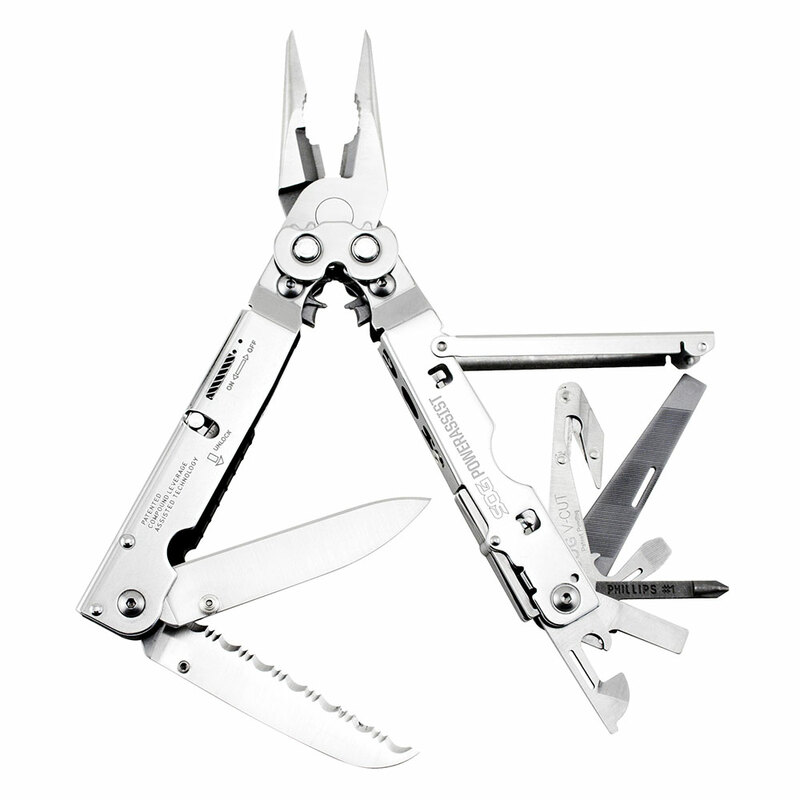 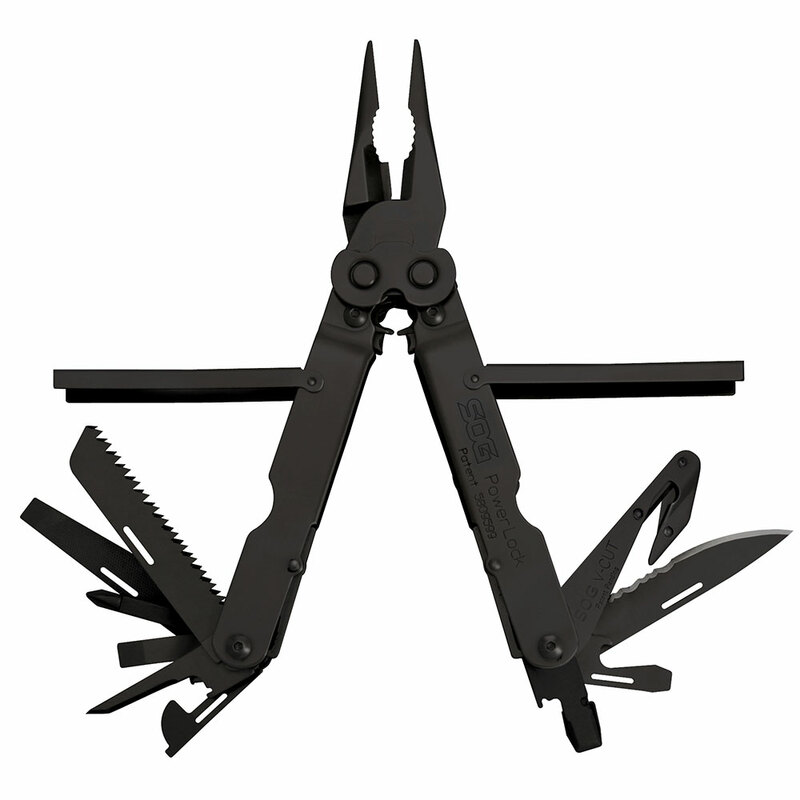 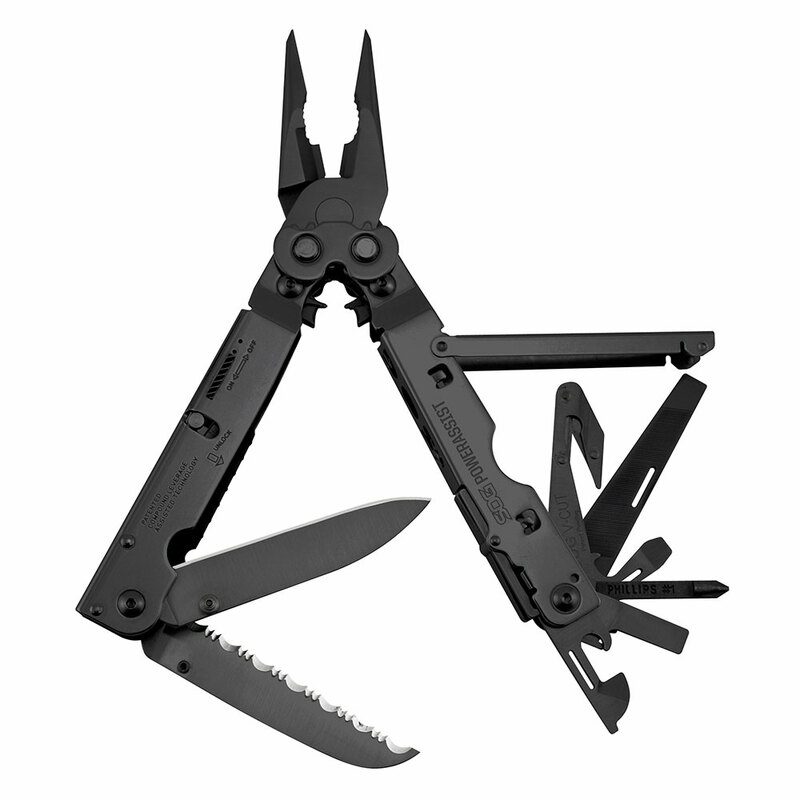 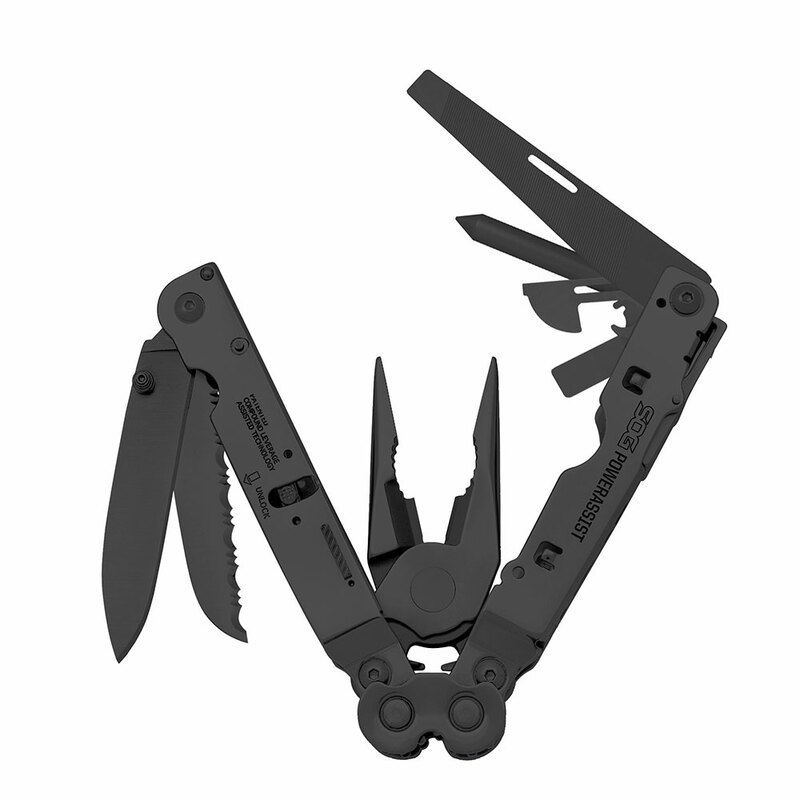 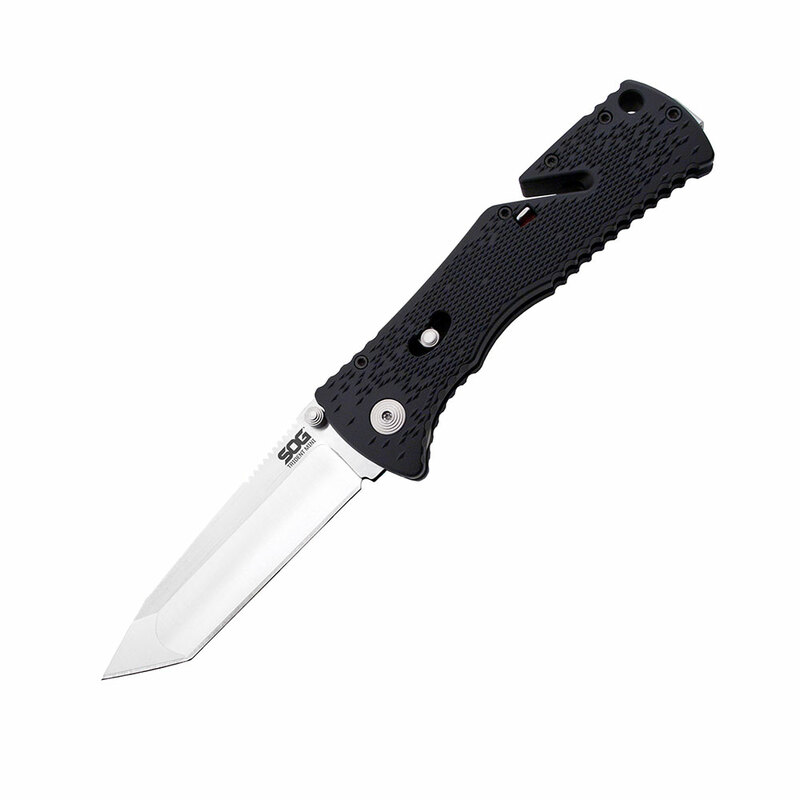 They allow these amazing multi-tools to be opened with a one-handed flip of the wrist and also generates Compound Leverage action that doubles the pliers force with one-time the hand pressure. 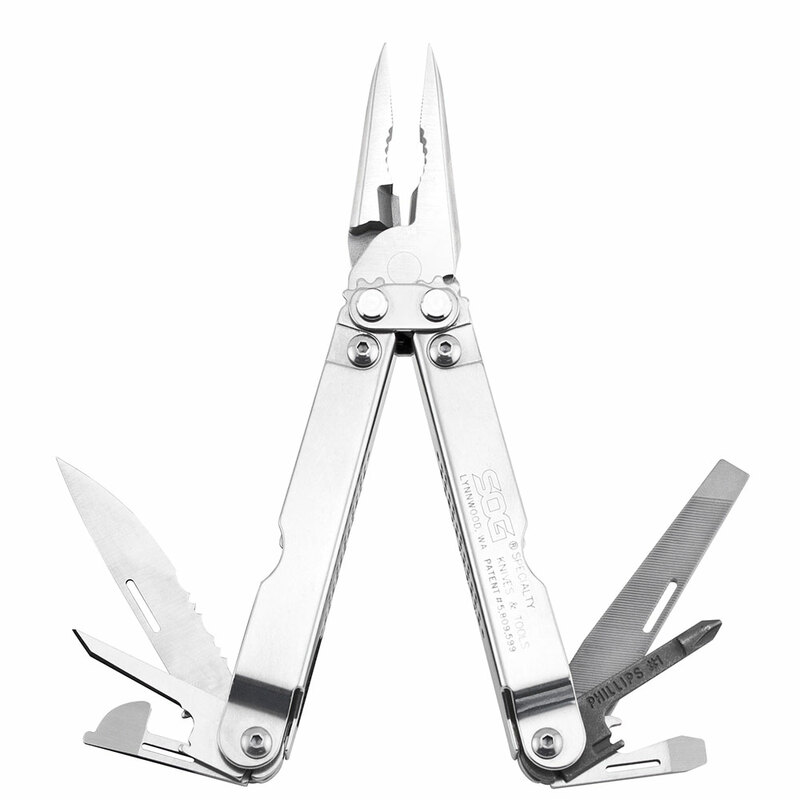 These gears also allow the pliers to be easily flipped open with one hand so your tool is ready to act quickly.